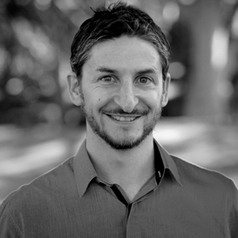 Simon Firestone graduated from Veterinary Science at the University of Melbourne in 2000. He worked in mixed and small animal veterinary practice in Australia, Thailand and the United Kingdom, and as a veterinary and public health epidemiologist developing zoonoses surveillance and investigating outbreaks of foodborne and zoonotic disease with Commonwealth and State Departments of Health in Australia, and the World Health Organization in Indonesia and Cambodia. He completed his Masters of Applied Epidemiology at ANU in 2007 and his PhD at the University of Sydney in 2012 which comprised a series of epidemiological studies into the spread of the 2007 outbreak of equine influenza in Australia. Simon now coordinates and teaches into the online Master of Veterinary Public Health program at the University of Melbourne, teaches into the Science and DVM curriculums on emerging infectious diseases, epidemiological methods and the evaluation of diagnostic test performance. He also is active in research into the spatio-temporal analysis of disease spread in populations and risk factor studies into outbreaks and zoonotic diseases including Q fever, equine influenza, salmonellosis, Ross River virus and bovine Theileriosis.